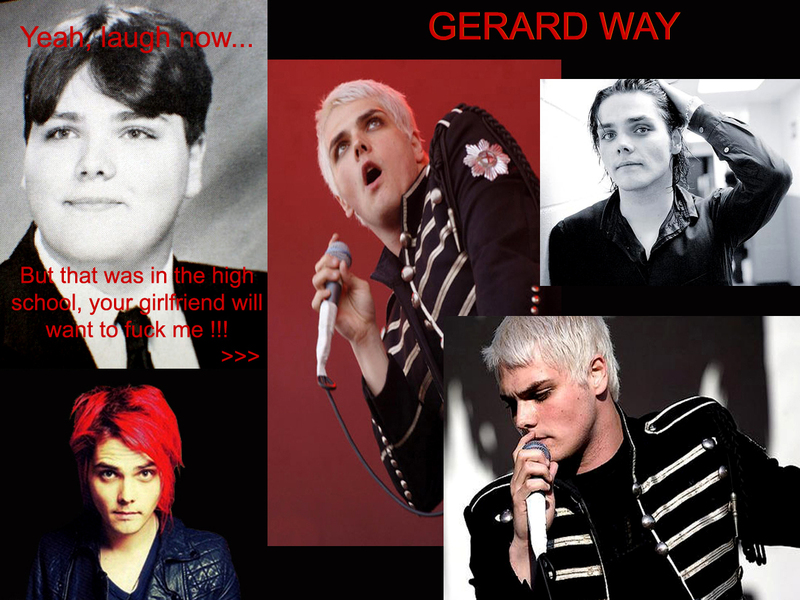 Gerard Way Mixed. I found some good pictures about Gerard Way and I thought I make a wallpaper or whatever is this . :) I found that old picture with the text too but I changed the text a little, just the first part... :) Well... I think the life was fair with Gerard.. HD Wallpaper and background images in the My Chemical Romance club tagged: my chemical romance gerard way. I found some good pictures about Gerard Way and I thought I make a wallpaper or whatever is this . :) I found that old picture with the text too but I changed the text a little, just the first part... :) Well... I think the life was fair with Gerard. This My Chemical Romance photo might contain concert, portrait, headshot, and closeup.